None of the six symphonies of the Danish composer Carl Nielsen (1865-1931) turn up very often on U.S. concert programs, and that’s a shame. The set is certainly one of the most remarkable and satisfying of the 20th century (though No. 1 was written in 1892). The reason they aren’t performed here much is perhaps hard to say with certainty, but I think it probably has something to do with our programming in general, which is overwhelmingly focused on German and Russian classics. There are simply no Danish works in the standard repertoire, Nielsen or otherwise. 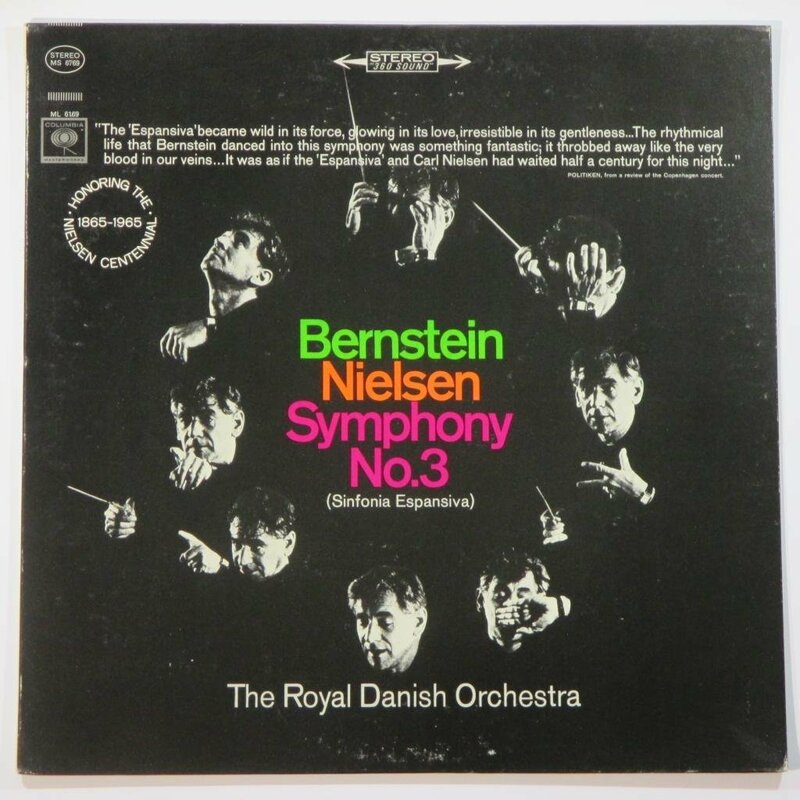 At any rate, here’s a rather athletic and terrific live performance of the Third, with Leonard Bernstein conducting the Royal Danish Orchestra in 1965. (The sound is decent; you can even hear Bernstein stomping at several points. The picture is virtually high def.) Bernstein at one time took up the Nielsen cause with some enthusiasm, and recorded the symphonies 2-5 with the New York Philharmonic, as well as the flute and clarinet concertos. He also recorded the Third with the Royal Danish. This entry was posted in classical music, Video and tagged neglected symphonies, Nielsen, repertoire by pacificsymphony. Bookmark the permalink.